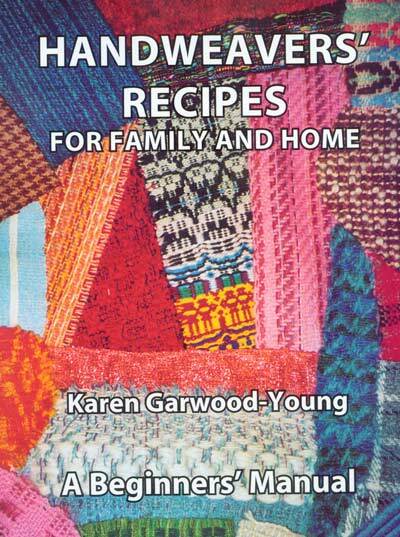 Handweavers Recipes book - Ryijy: A one off, cannot be repeated painting created with wool. This little ring back manual is a must for aspiring weavers. There are so many family projects to choose, from baby blankets to wedding dresses. Written by an Artist Weaver of over 40 years experience in the teaching of textile design and construction. Aimed at the complete novice each project will teach a basic skill so progression will build up a complete knowledge of the craft and you will be able to design your own brand of textiles without tears or expense. A timed method for the busy weaver, hints, glossary, yarn sample page and a wealth of photographs taken through the creation of each project by the author.